The 1st UNIST XFEL Science Workshop will be held at UNIST on September 22-23. 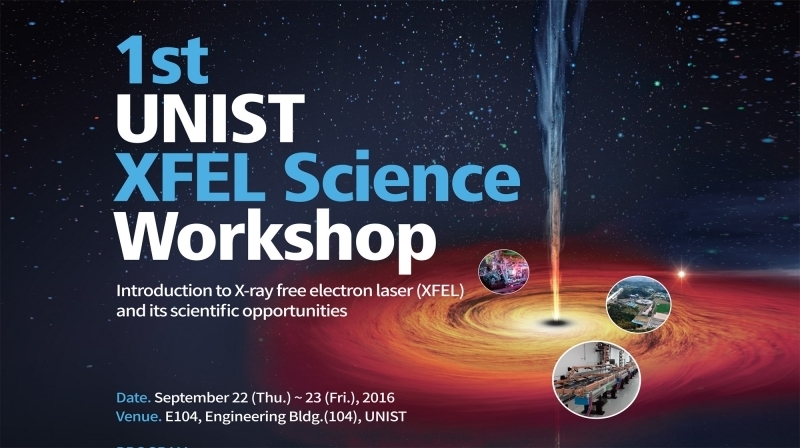 The 1st UNIST XFEL Science Workshop will be taking place from the 22–23rd September, 2016 in the Engineering Building I of UNIST, inviting experts in space exploration and ultrafast X-ray science. 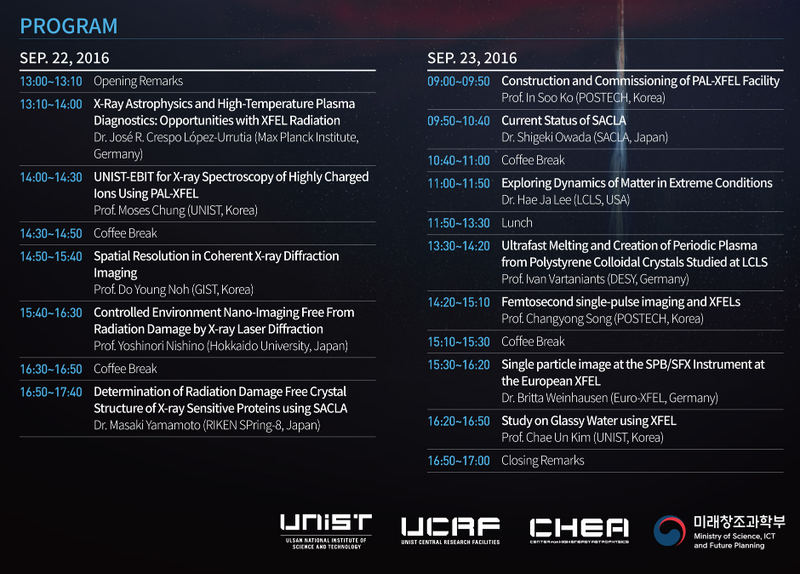 Organized by Prof. Tae Joo Shin of UNIST Central Research Facilities (UCRF), in collaboration with the Center for High Energy Astrophysics (CHEA), this international workshop will feature a host of presentations on X-ray diagnostics and scientific applications of the XFEL. The event brought together leading materials and engineering experts from international laboratories and top academic institutions, including Max-Planck Institute (Germany), the Deutsches Elektronen-Synchrotron (DESY, Germany), RIKEN SPring-8 Center (RSC, Japan), Linac Coherent Light Source (LCLS, Germany), and others. The primary objective of this symposium is to create a broad, interdisciplinary exchange of ideas and results, identify outstanding problems, and develop new collaborations on the various fields served by XFELs. X-ray Free-Electron lasers (XFELs) are the 4th generation accelerator-based light sources, often referred to as the “dream light”. XFELs are characterized by an extremely short pulse durations of only a few femtoseconds and extremely intense X-rays that are more than a trillion (one thousand billion or 1012) times brighter than the sun. These pulses of X-ray radiation are the basis for new revolutionary experimental techniques that will allow scientists to study the nanocosmos, with applications in almost all technical and scientific disciplines including medicine, pharmaceutics, chemistry, material science, nanotechnology, power engineering and electronics.